My study of the mind, body, and spirit began as a dancer growing up in Nebraska! 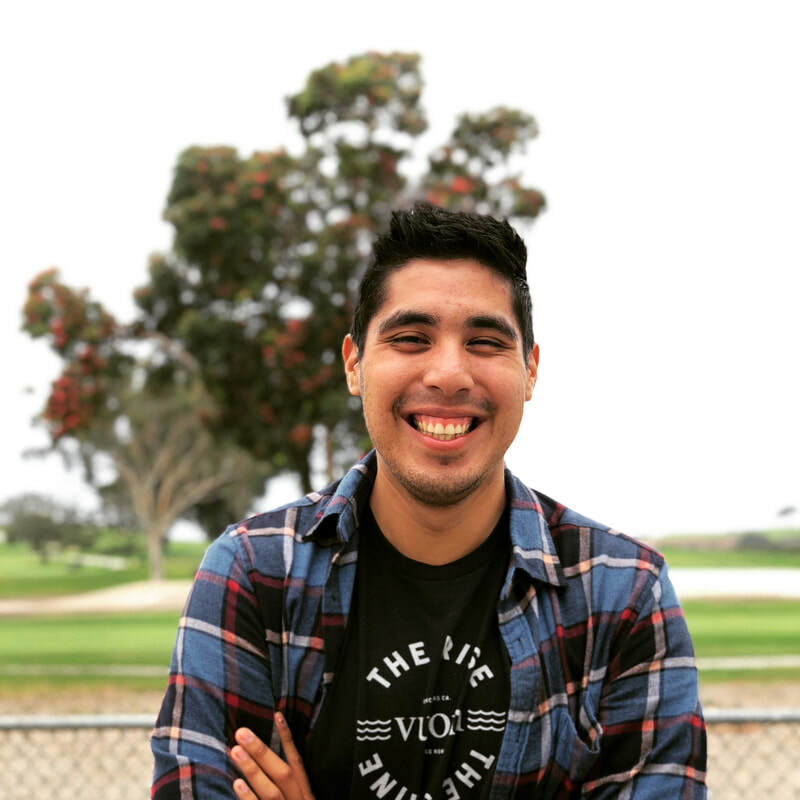 I fell in love with the art of movement as a young child and after high school, moved to Santa Barbara to continue my training in Ballet, Contemporary, and Hip-Hop. It was in Santa Barbara where my love for Yoga all started. Upon completion of a Bachelor of Dance degree from the University of California, San Diego in 2007, I moved to the North County to join Bk Soul Dance Company and teach yoga, my own brand of sculpt and Pilates locally. This is when I started to design EVO! For the last 6 years, I have worked to move my own practice and the practice of my students forward; safely, compassionately and with intense self awareness. My Yoga classes are heavily influenced by both Anusara and Dance, during which I strive to help my students experience love, challenge and success! The class I designed, known as EVO, is unlike any sculpt or bootcamp class in town. I can't wait to meet you! ​The first time I practiced Yoga was with a fraternity brother in Santa Barbara to a yoga DVD! I had no mat and no idea at the time that it would become such an integral part of my life. I am an avid surfer and I have a very eclectic affinity for all different kinds of sports ranging from baseball and tennis to snowboarding, cycling and even Aussie Rules Football. One thing that I have learned, Yoga has a major and positive impact on both my ability to excel and my ability to mitigate injury risks! Furthermore, in my career as a Professional Political Operative, Yoga's blend of mental stabilization and breathing practices, has given me clarity and strength during some of the most challenging and stressful work environments when I am on the campaign trail! With almost a decade-long background in Anusara, Power Vinyasa and Yoga Therapy, I teach a style of yoga that blends a bold approach with practical intuitiveness emphasizing safety, alignment and empowerment. This style helps men, women and children to transform/transcend any physical pain, mental limitation, and emotional wounding by coming into a powerful alignment with their optimal potential. By illuminating this journey of awakening to the greatness that lies within each one of us, I believe my mission as a teacher is to encourage all of my students to continue growing and evolving by tapping into their own inner reservoir of strength, confidence and peace. As a teacher, I endeavor to be motivational, compassionate, and best of all relatable. My upbeat personality, entertaining sense of humor, and eclectic music selection helps in my goal to provide each student, no matter their level of fitness, with the opportunity to exceed their individual fitness goals. My students know me for my ability to teach a variety of certified yoga classes, including heated, non-heated, restorative, and vinyasa yoga. If you are more interested in high intensity cardio workouts, I am also a certified yoga sculpt and yoga barre instructor. Additionally, I teach challenging cross training style boot camp classes, which are usually held out doors. I got hooked on yoga in 2013, when I tried my first hot yoga class in San Diego. I completed my 200 hr Yoga and Yoga Sculpt Teacher Trainings. I am SO excited to continue to expand my practice and share my passion with other students! When I am not on my mat for my own practice or teaching, I am working towards getting my Masters in Occupational Therapy and I am set to graduate in December 2016. If I could sum up my feelings towards yoga, I believe that the beauty of yoga practice is stepping onto your mat and having the bravery to take a step back to tap into your true self, letting go of the intrusive thoughts, emotions, or experiences that do not positively serve you and at the same time take a leap forward--begin a process that makes room for something new, something big, something better for YOU. Born and raised in San Diego, Ca. I grew up taking hip-hop classes and took my first yoga class 7 years ago! I found it to be an amazing balance between cycling and it allowed my mind to reset. Just like everyone, I keep myself busy so this practice reminds me of taking time for myself. Being in the medical field this practice helps me to let go. I completed my 200hour teacher training here at Evolve Yoga and Movement and fell more in love with the practice. Coming into the training my main goal was to improve my practice, but instead EVOLVED me into the teacher I am today. I teach from my heart and my goal as an instructor is to have my students feel it during and after my class. Yoga is far more than just poses, it is about the mind and breathe. When I am not at the studio, you can find me cycling, at the beach or in line for a Quesadilla. I look forward to having you in class. I started my yoga journey in 2006 with Bikram and immediately fell in love. Growing up as a dancer, yoga was a natural progression in my dedication to movement and personal expression. I quickly found my way to Vinyasa and Ashtanga classes and never looked back. After completing my Master's in Food Science and Public Policy, I knew my teacher training would be the next step in diving deeper into my love of health and fitness. I received my 200 hr certification earlier in 2018 and am thrilled to take the next step in sharing my passion and love of yoga with others on their mats. In my classes I encourage the growth of both the physical and spiritual self and invite everyone to let their inner child shine while playing on their mat. Each class will be filled with joy, love, a little laughter, and hopefully a lot of sweat! When I am not teaching you can find me dancing, hiking, at the beach, or traveling around the world trying new cuisines. I began practicing Yoga as a child in Maine, long before my first Tadasana. Growing up surrounded by nature allowed the ocean and the woods to act as my playground and my teacher. It was here that I first learned to quiet my mind and truly appreciate the moment I was in. I took my first yoga class 10 years ago and fell in love with the practice of utilizing body intelligence to bring the physical, mental and spiritual bodies back to neutral. I received my 200hrRYT in 2011 and have been engaged in ongoing yoga, bodywork and energetic healing education ever since. four years ago I combined a love of travel with a love of nature in order to live and study yoga abroad. In 2013, while living in Colombia, I founded Mundo Adventures Global Retreats: special experiences where students can come home to their truest self via self study, connection with nature and understanding of other cultures. 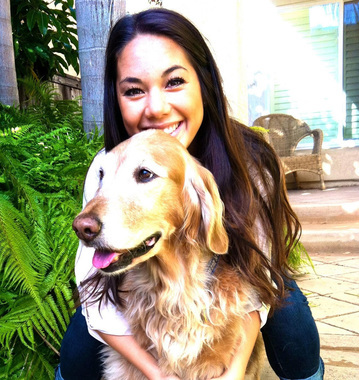 Being born and raised in San Diego, I’ve become passionate about living a conscious, balanced and nourished life. My passion for health and wellness grew while I studied holistic health, plant based nutrition and raw food cooking. After taking my first yoga class in 2011, I was hooked! I instantly felt connected to the physical practice and as my personal practice developed over time, I began to explore and expand my mind and overall learned I have the ability to tune inwards and connect with my inner peace. In 2014, I completed my 200 hour teacher training in Baron Baptiste inspired Vinyasa and just recently completed my 300 hour training in India, which was multi style and focused on the five elements in both Ayurveda and TCM. My mission is to spread compassion for all beings and empowerment for oneself through yoga on and off the mat! Jessica, The Pink Ninja, loves yoga. Nothing fills her cup more than connecting with her mind, body, soul and the souls around her when she steps on her mat. After a 14 year romance with gymnastics the she found yoga as a means to keep her physical body in shape. Jessica continued the physical practice for 12 years before discovering the power of moving beyond the body - to the mind and soul. With no intention of actually teaching yoga, she completed her first 200 hour Yoga Teacher Training in 2013. As a teacher the Pink Ninja truly came alive and since 2013 she has completed over 300 hours of additional training in vinyasa and karma yoga, yoga sculpt, and Buti. Caitlin completely our first ever Yoga Sculpt Teacher Training a few months ago and crushed it so well, we couldn't help ourselves but to invite her to join the Evolve Family! Caitlin infuses multiple disciplines from her strong background teaching Pilates and yoga into an incredibly well balanced EVO Sculpt workout! I especially love her creative core strengthening workouts derived from her many years of Pilates teaching. Come check her class out every Friday afternoon at 5:30 pm! I have always tried to lead an active lifestyle. Growing up you could find me running around with all of my friends playing every sport that I could, especially soccer, lacrosse, and swimming. Swimming is what led me to the University of North Carolina at Wilmington where I swam D1 and surfed as much as possible. During my time in college, I was first introduced to yoga. I have been hooked ever since! In 2009, I completed the 200- Hour Yoga Teacher Training followed by the Yoga Sculpt Teacher Training. I believe that yoga is not only a physical practice but through all aspects a way to continue to grow and evolve as an individual. When I am not at the studio, you can find me outside enjoying the sun, surf and spending time with my dog Mowgli. Katelyn ventured to San Diego from Wyoming on a quest to inspire others to tap into their innate energy through mindfulness & movement. With her extensive background in Kinesiology and Health Promotion, and as a Doctor of Physical Therapy, she craves helping others heal, both mentally & physically. ​Katelyn seeks to make optimism contagious everywhere she goes. She believes in the power of the yoga in heal & spark evolutionary shifts in this beautiful life. I first found yoga in 2009 and after just one class, I was hooked for life. It brought about for me a new understanding and love for my body, something I wish to create for my students. Through yoga, I have had the opportunity to do what I love and travel the world. I completed my vinyasa and children's teacher training in Costa Rica in 2012. I followed that up with what most influences my practice and teaching with the Jivamukti teacher training in India 2015. I have also had the opportunity to teach in Australia, Costa Rica, Switzerland, and of course, all throughout my hometown of San Diego. I enjoy teaching all levels Jivamukti vinyasa class. My classes are infused with fun while providing students a safe place to explore their practice. When I first found Yoga ten years ago, I immediately fell in love with the yoga community and the healthy benefits it brought my life. After deciding to follow my passion, I completed my Power Vinyasa 200-hour teacher training, and to grow my passion even further, I completed Josh Vincent's 100-hour Intensive training in Encinitas. Sculpt classes gave me an outlet in exuding my positive energy with loud music and heart pumping exercises that leave students feeling electric! My Mantra- Love the life you live! Becca is a dynamic athlete who brings her high energy positive attitude and adventurous spirit into everything she does. She is committed to making yoga accessible to everyone and tailors each class to meet the needs of every yogi. You will experience a well rounded class full of fun and challenging sequences, positive motivation, uplifting messages, and juicy assists. She also creates space for inward reflection so you can create your own experience and find peace on your mat. In 2008 Becca discovered yoga while healing her body from injuries sustained from running cross country and track at Dickinson College. She has taught over 3,000 hours of classes and workshops and has also attained certifications in restorative yin yoga, Reiki, Thai massage, AcroYoga, and paddleboard yoga. After completing my collegiate athlete career playing softball at Sonoma State University, I still craved a hard, yet fun workout in a team atmosphere. I was introduced to sculpt yoga in 2013, and my first of many classes was taught by the renown Anna Spalding. My immediate love for the intensity of the sculpt yoga practice, as well as influential teachers, such as Anna, inspired me to attain my Sculpt Yoga certification in November 2014; and started teaching shortly after in 2015. Over the past 6 years I have participated in various styles of yoga, however my background with intensive cardio and weight training through athletics provides me with knowledge on proper form, injury prevention, and strengthening and recovery of specific muscle groups, which is essential to positive results in the sculpt practice. I strongly believe in setting goals for each class, and I am committed to providing a fun, sweaty experience with a killer playlist! ​I am a San Diego native. I started practicing yoga in high school, and I absolutely fell in love with the yoga community while I was attending college at UCLA. Initially, I was interested in the physical benefits of the practice, but the more time I spent on my mat, the more I found lasting benefits in other aspects of my life. This is truly when I found my passion for yoga. Outside of yoga, I love to be outdoors, whether it's hiking, biking, running, swimming, or camping, you'll find me in the sunshine. My class is both fun and challenging. It will put a smile on your face, yet still push you to expand your edge and help you to grow on and off your mat. I can't wait to sweat it out with all of you! Namaste. Fiona has made it her mission to share this amazing practice with others. When not on her mat you can find Fiona in the ocean, on an adventure with loved ones or chasing the sun. I first fell in love with movement and fitness as a kid. I grew up on a farm in Maryland taking care of horses, mucking stalls, tossing hay bales, and working out to my Mom's Buns of Steel tapes. Through my teens and 20’s I played Division 1 lacrosse at Johns Hopkins University, ran marathons, worked as an ocean lifeguard, became an IFBB pro athlete, and worked as a personal trainer. Over the years my passion for fitness and wellness has evolved and led me on a journey of yoga, wellness coaching, and mobility training based on my own healing journey. Yoga has restored balance to my body and mind and it’s teachings have illuminated my life and rekindled the fire in my heart. ​I have studied Ashtanga yoga with Tim Miller, Kundalini and meditation with Kia Miller and Tommy Rosen in Rishikesh, India, and studied yoga, Ayurveda, and Pranayama in Mysore, India. While, I love yoga asana and movement, pranayama and meditation has changed me from the inside out. My intention as a teacher is to guide you on a journey towards yourself, to access your inner nature, and to know the ONE that resides in everyone and everything. Justin Froese has music running through his veins. Having played the guitar since he was 5 years old, he carries the music with him wherever he goes. 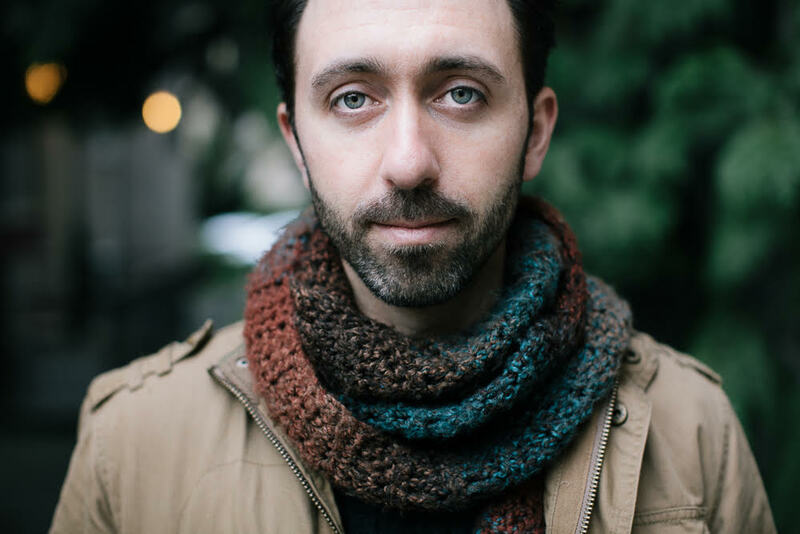 As an artist, producer, teacher and award-winning songwriter, Justin is known for his collaborative spirit and diverse palate of musical tastes. His mainstream sensibilities combined with foundations in both popular music and classical music training have resulted in the ability not only to cross genres, but also in many cases, defy them. Always heartfelt, Justin’s music reaches through the human story to the heart of every listener who hears him. Dani is an alignment-based vinyasa yoga teacher. 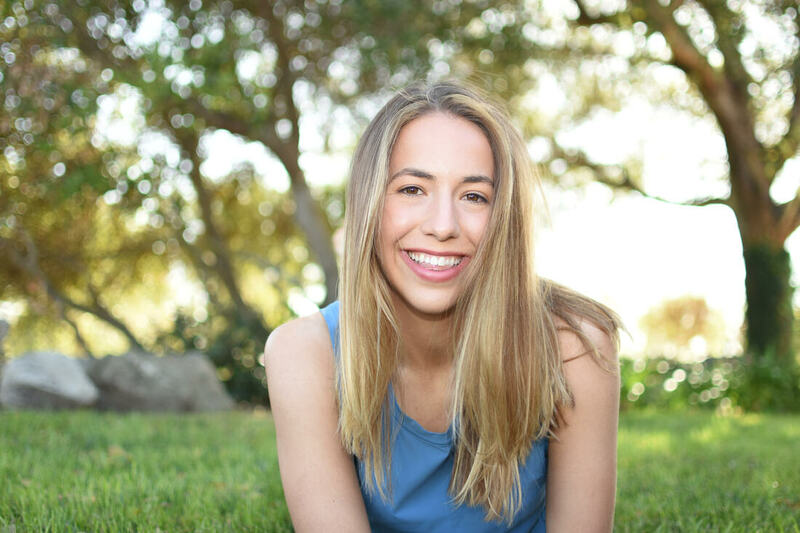 A life-long competitive athlete, Dani found yoga in 2012 as part of her pre-season collegiate lacrosse training – she was drawn in by the arm balances and kept going back for the mental clarity and peace yoga brought her. 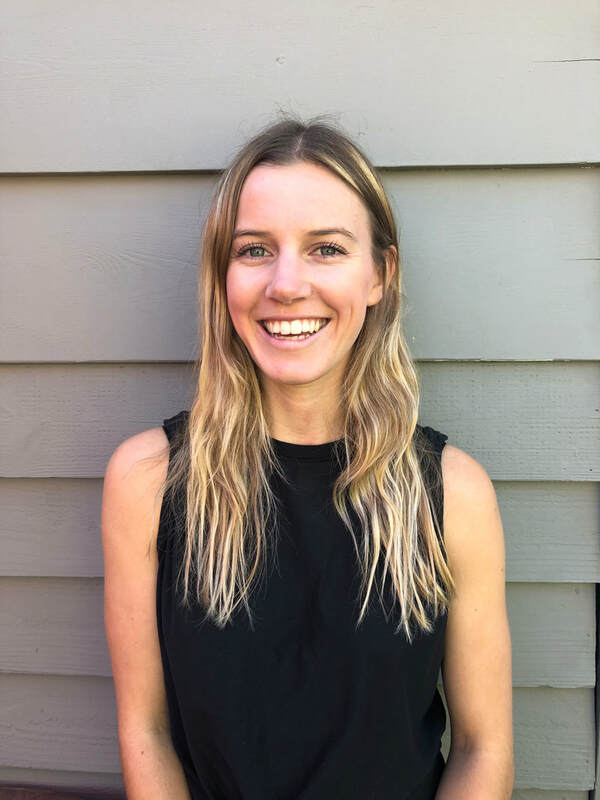 Dani is first and foremost a dedicated yoga student herself, attending classes, workshops, and retreats with respected teachers all over the world so that she has a breadth of information to pass along to her students. Dani loves to share her passion for the practice with others as an instructor – she hopes her students feel empowered, rejuvenated, and a little bit sweaty after a class with her! Dani completed her 200-Hour Teacher Training through YogaWorks in Boston, MA in May of 2017, and she has been teaching ever since. She started teaching at Evolve soon after she moved to California in the Fall of 2018. 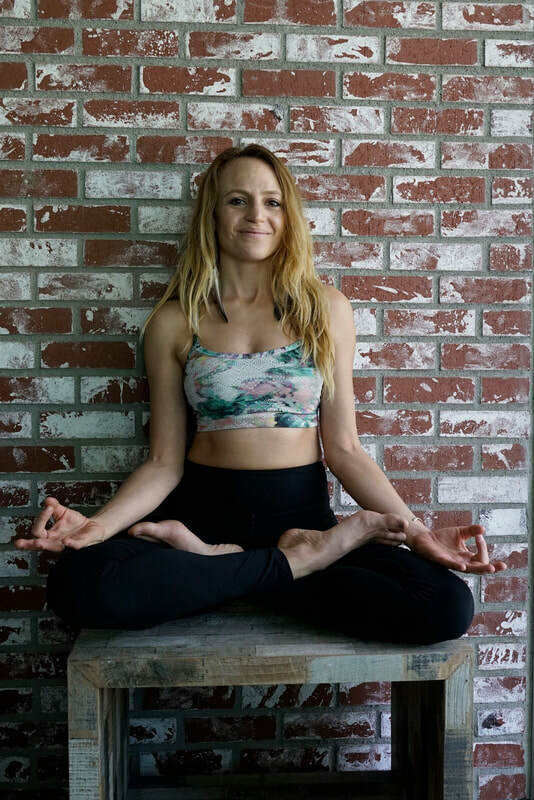 You can find Dani teaching Boga at Culture Brewing Co. in Encinitas every Saturday at 10:30 am – come by for some good music, a cold beer, and a feel-good vinyasa flow! 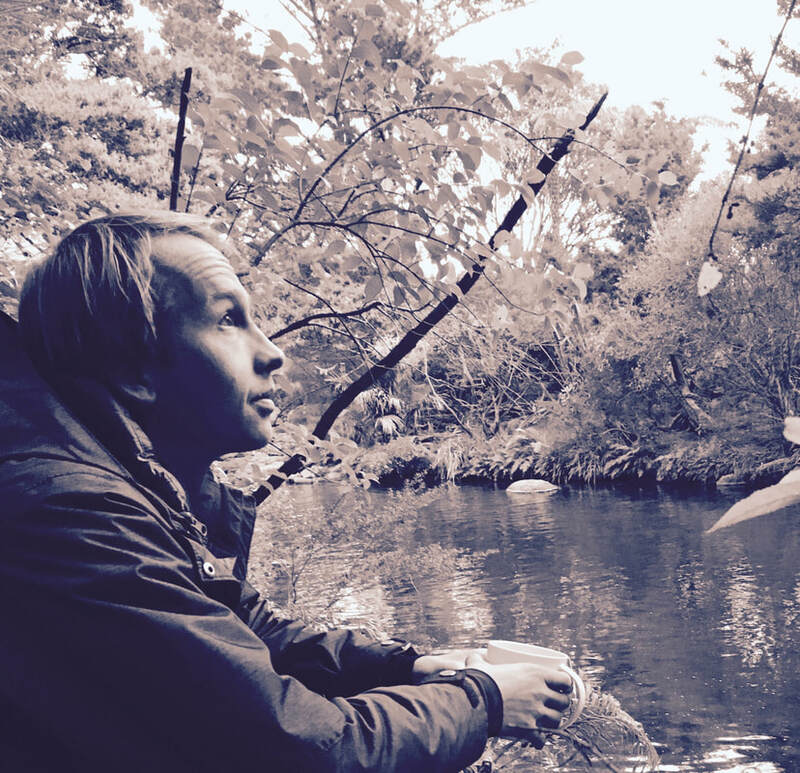 ​Andy Crane is an adventurer, waterman, and experience designer. His music is inspired by the many epic journeys to faraway places he has experienced throughout his travels to over 40 countries. His music can been described as celestial, etheric, and angelic. Floating from track to track, he crafts a musical odyssey beckoning the experiencer to embark on an inward journey of their own. For me, yoga is a great downward dog in the morning followed by an upward dog, which is puppy sign language for "I love you!" In my free time, I like to go on beach runs, smell ALL OF THE FLOWERS on my walks, say what up to the mailman and his FedEx buddy every day and give lots and lots of kisses. Come by the studio to see me sometime!! More Teacher Bios Coming Soon!